Subscribe to my newsletter and get a free copy of my devotional, 50 Fresh Starts! 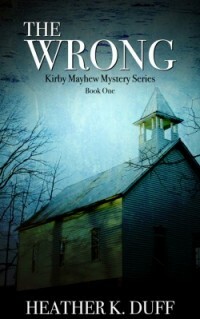 A grieving pastor’s new beginning lies buried beneath the secrets and sins of Caney Cove’s most horrific crime. Two years after his wife’s murder, Kirby Mayhew submits his resignation letter as pastor of Harvest Church. He’s ready to pack up his life and move away from Caney Cove and away from the shadow of grief he’s been living under. But a deathbed confession from the ailing Trudy Andrus reveals new information about his wife’s killer. Did the man convicted of Julie’s murder act alone? Was someone else to blame for her death? Thanks to my readers who voted for their favorite book cover for my newest release, 50 Fresh Starts: One verse. One thought. And a one-sentence prayer. Here is the new cover, getting 75% of the vote! Short, simple writings designed to help you begin each day with prayer and Scripture. Each one takes less than a minute to read, though they aren't meant to be rushed. These "fresh starts" will lead you to greater intimacy with God. As Psalm 34:8 says, "taste and see that the Lord is good." I'll send you this devotional ebook free as a thank you for subscribing to my email newsletter.